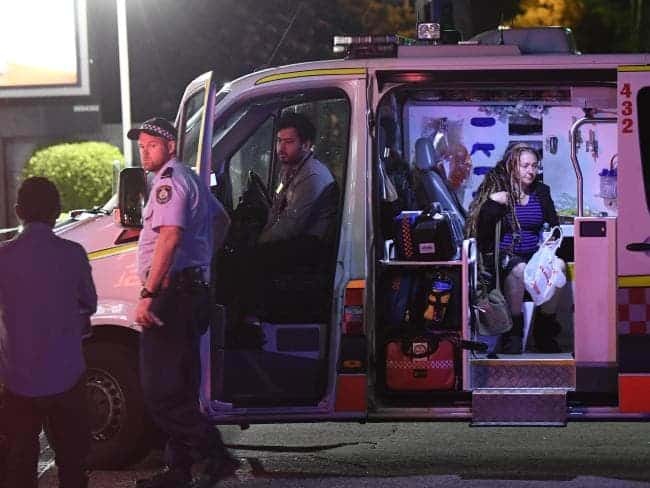 ﻿ Transgender Axe Attacker Heard Voices Telling Her To "Kill And Maim"
Evie Amati, a 26-year-old transgender woman, attacked two people with an axe at a 7-Eleven store in Enmore, just outside Sydney, on January 7th 2017. Recent footage has emerged of the attack, which shows Amati entering the convenience store holding an axe, and talking to one of the customers. Shortly after their conversation, Amati swings the axe and hits the man in the face, before using the axe on a woman exiting the store. A few hours before the attack occurred, Amati sent a message to a Mickila Jahnsen which said “one day I will kill a lot of people and it will be your fault.” Jahnsen said she met Amati on Tinder just two hours before the attack occurred and they met for drinks with friends and took a capsule they believed was ecstasy. Amati has plead not guilty to wounding with the intent to murder two customers at the 7-Eleven, and attempting to wound with the intent to murder a pedestrian who was walking a short distance away from the convenience store. CCTV footage was shown to jurors at Amati’s trial on Thursday, which can be seen below. 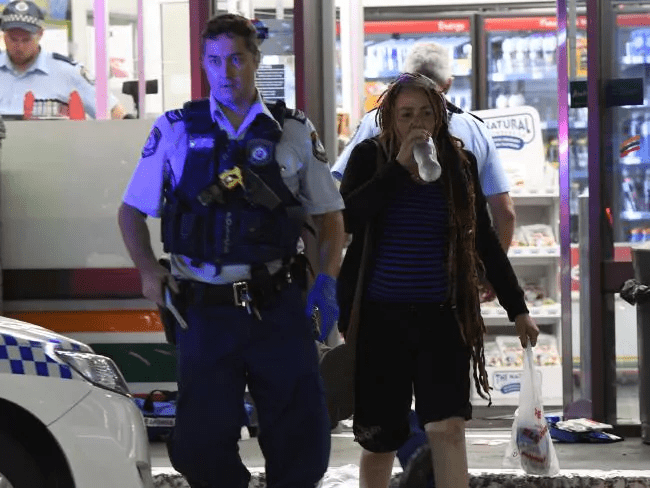 The footage contains graphic scenes as Amati uses an axe to strike two customers inside the 7-Eleven store, with blood gushing from one of the customers’ face. The two customers, Benjamin Rimmer and Sharon Hacker, suffered serious wounds from the attack, with Rimmer’s face being opened up from the axe and Hacker suffered a fractured skull. “She just came with full force and swung and struck the man across the face. Then [she] turned immediately around to me and again, with both hands, came through and struck me with the axe in the back of the head. And then as I was falling forward, (she) came in again and came down and struck me again. Amati’s lawyer is determining whether to proceed with a defense of mental illness, as Amati is a transgender woman who suffers from depression and was under the influence of drugs.